For my 26th birthday I received a very special present from my dear friend Megan. 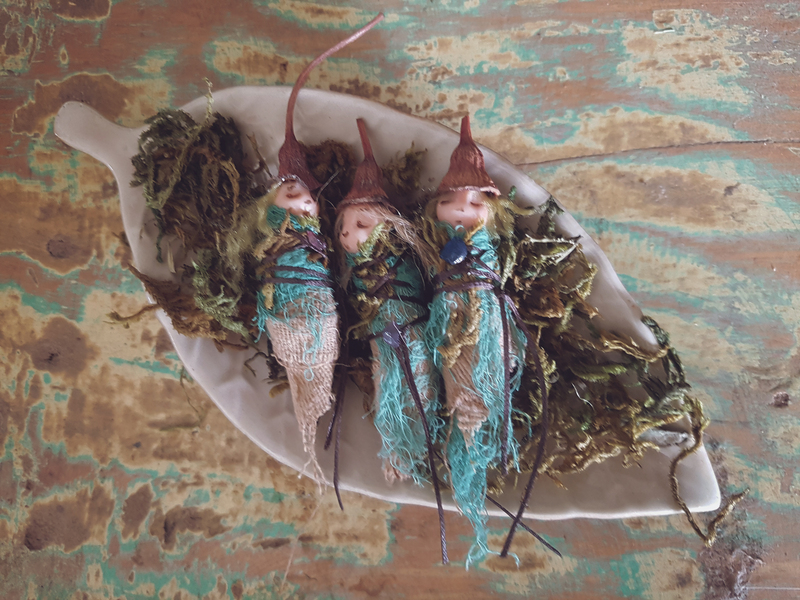 It was a teeny tiny faery garden in a glass bowl that she had created herself. It is one of the sweetest things I have ever seen! 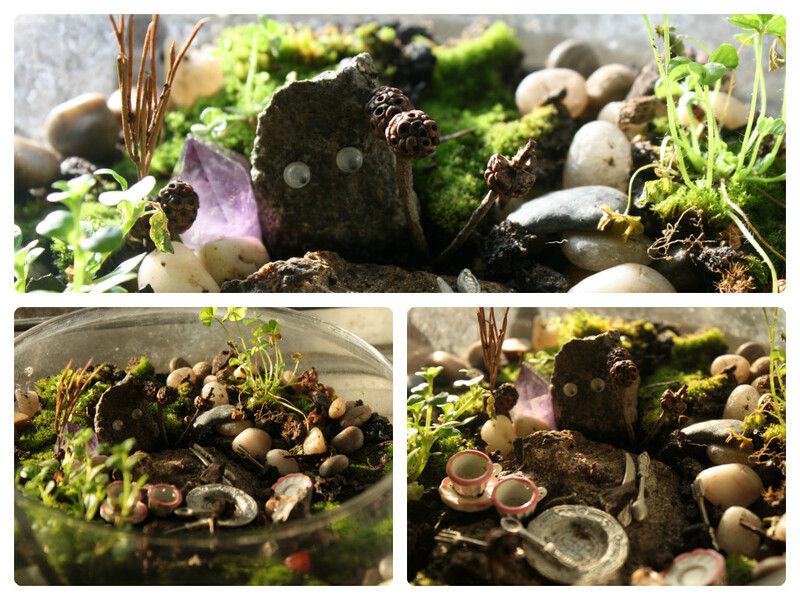 Baby succulent plants, moss and polished stones complete with rocks with goggly eyes enjoying tea. I’m so glad I took photos of it too because over the years it has been ‘renovated’ thanks to my ‘darling’ cats!! 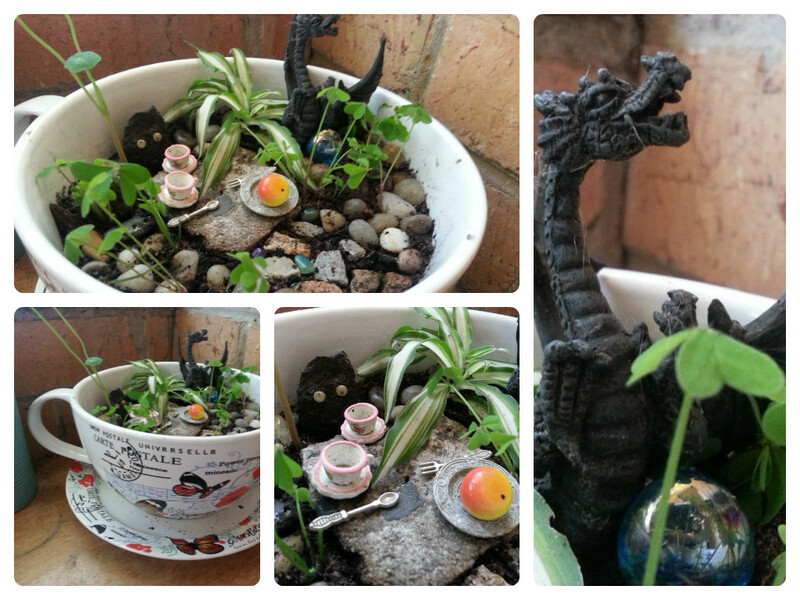 Just yesterday my wee garden which was no more.. caught my eye and I decided to bring it back to life once again! The whole idea is too cute to not share. So here are pictures of the first garden..
How cute is it!? The plate and cutlery actually came from a separate but also amazing present which was a tea party CAKE! 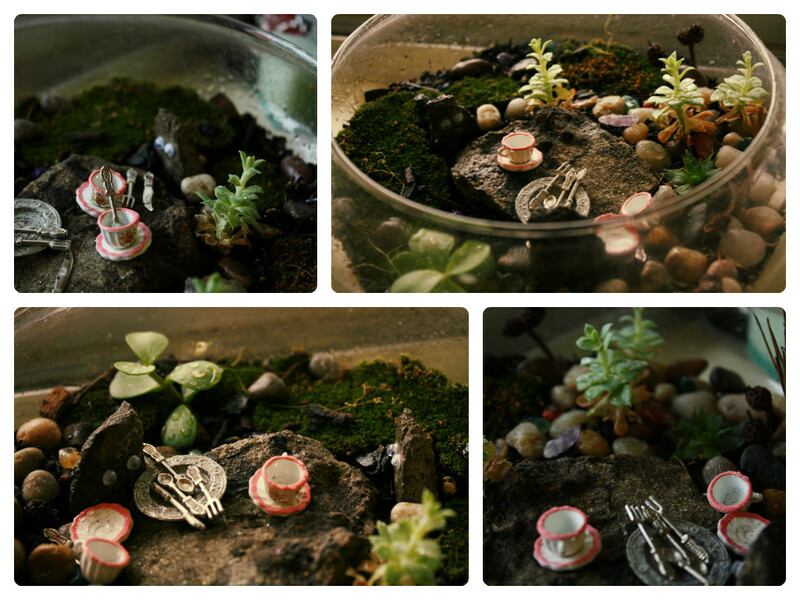 I collected the little pieces after we ate the cake to add to my little garden. It lasted a good year I’d say.. until my white cat Lily (Cat Face) who thought it looked quite comfortable, made it her new sleeping spot! So not only did she smother the plants to death but she also left behind a layer of white fur. Ok maybe I had something to do with pruning the plants when they got too big and may have accidentally killed them first. But she killed the moss! 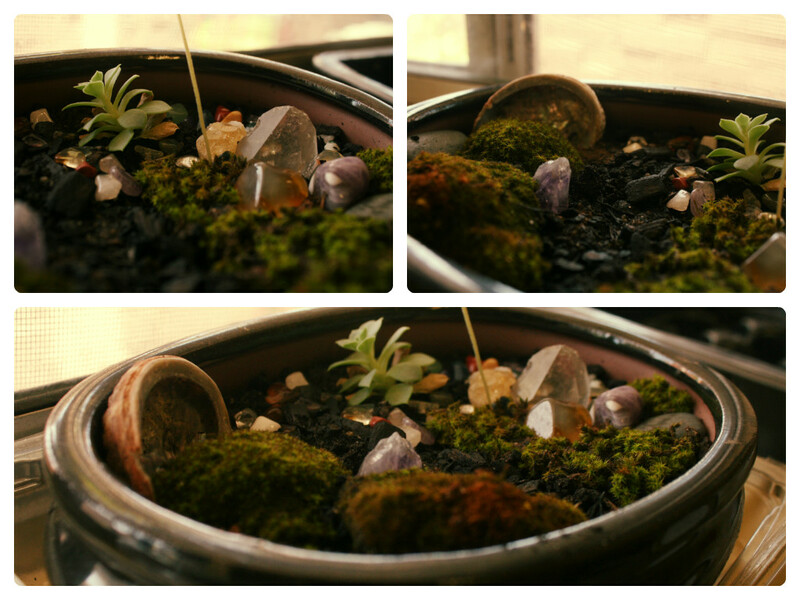 Faery garden #2 I found some moss in the back yard and tried my best to rebuild the garden. My succlents were well dead so I picked some random plants I found, clovers and some kind of weed I’m sure. but hey, it turned out pretty darn adorable! I also added an amethyst for extra awesome. This garden survived moving house at some stage, but was killed instantly when our cats had a hissy fit one day. I’m not exactly sure which one but it was knocked off the table and smashed on the floor! BAM! Dirt everywhere.. So not only did I have to rebuild, I needed a new bowl! Do you think I could find one at the time? Of course not.. but what I did find in the reject shop for a bargain (I do love a bargain!) was a giant tea cup for crying out loud! A GIANT TEA CUP! 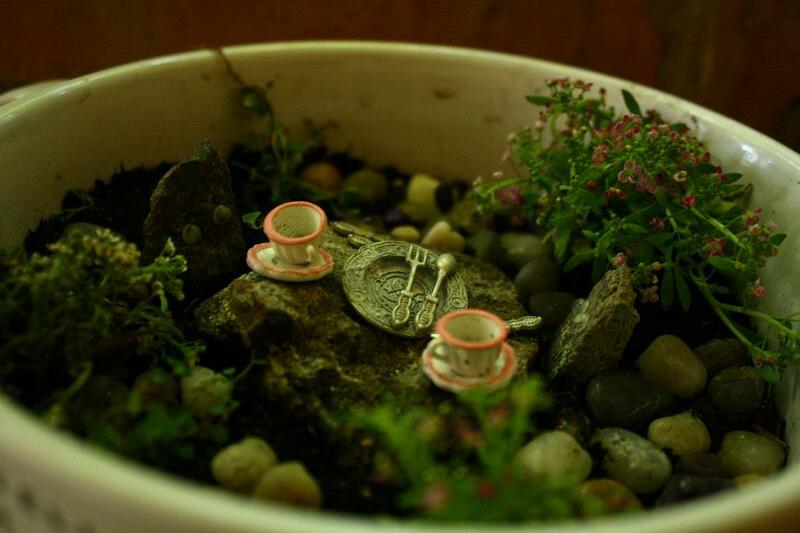 Well this is the only photo I could find for garden round 3.. but it’s in a big tea cup and has random plants I found. no moss this time but still looks cute as a button. I’m not very good at keeping plants alive so these guys died off pretty soon after. 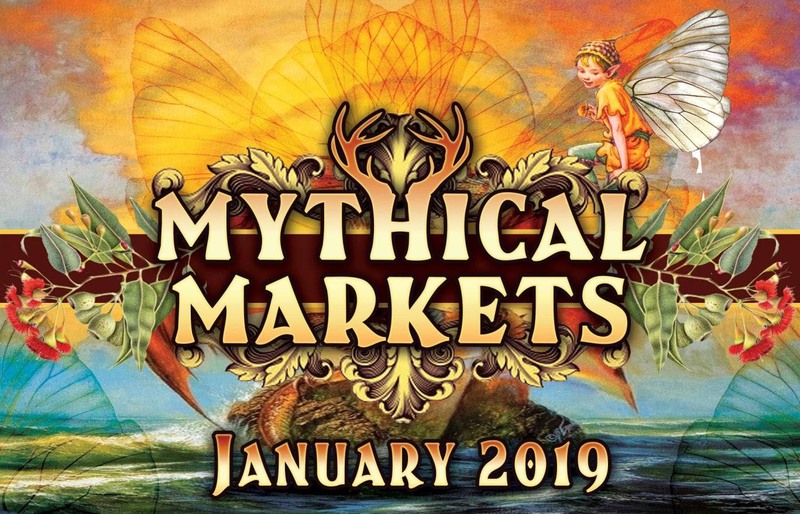 So again my faery garden was gone. Until yesterday!! And I recreated the little land of sweetness yet again! And here it is! I found plants to put in, probably weeds but hey they look good. I do love clovers and would love some moss but couldn’t find any.. I did find a dragon though. I also found a few things in ye ol’ craft box. I also just now found photos of yet another garden!! It was one I made for a friend, back when I had access to moss! I filled it with crystals, shells and gemstones too, as you can see..